The singer, whose real name is Costadinos Contostavlos, was taken into custody along with another man after an incident on the forecourt of the Shell garage in Woodbridge Road, Guildford, in the early hours of February 28. 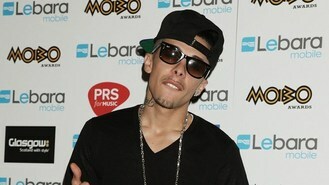 Dappy and a 27-year-old man allegedly approached two girls and three men and asked the girls to go with them. When they refused, one of the rejected men allegedly spat at one of the girls. A spokeswoman for Surrey Police said: "Police are investigating an incident which happened on the forecourt of the Shell garage in Woodbridge Road Guildford on Tuesday, 28 February. Two girls and three men were outside the garage at 3.30am. They were interrupted by two suspects who had turned up in a car and asked the girls to go with them. The invitation was refused and one of the suspects then spat at one of the girls. "As a result an altercation ensued involving the first two suspects and a further group of up to six black and white men who arrived in two further vehicles. "Anyone with information is asked to contact Surrey Police on 101 quoting reference GD/12/1823. Dappy, who performs in N-Dubz alongside his cousin and X Factor judge Tulisa Contostavlos, and Richard "Fazer" Rawson, has recently seen success as a solo artist and recorded with Queen guitarist Brian May.